Gripping opening, riveting read, stunning ending. 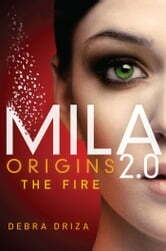 This prequel to MILA 2.0 is great if you want clues for the next read. If you want to be in the dark, read it after the 3rd in the trilogy. I wish the book had been a little longer, explaining what had happened to her arm and the outcome with hunter and Kaylee.. Other than that GREAT book!